W Tavener & Son were glove manufacturers, originally located at 1 Cecil Street (the building now occupied by Palmer's fish & chip restaurant). The premises were sold in August 1925 at which time it was described as "A valuable corner shop and dwelling house known as 1 Cecil Street; now occupied as a Glove Factory by Messrs W Tavener & Son". 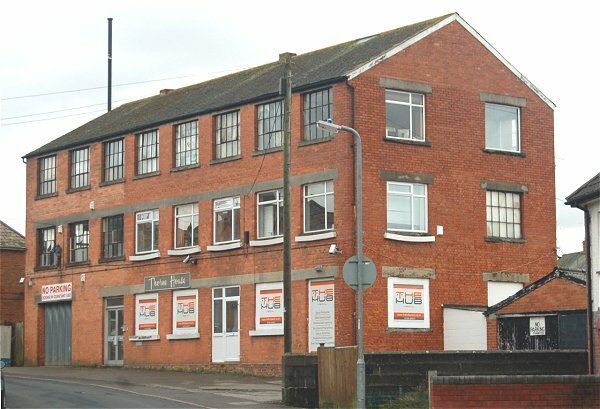 Whether or not the sale of the property forced the company to move is not known, however the company certainly moved to Eastville at some time after the sale. The earliest reference I found for them at this new location was when they were listed in the Taunton Courier's edition of 23 December 1931 as contributors (of one guinea) to the local fund in connection with the Bath & West and Southern Counties' Show due to be held in Yeovil in May 1932. The firm was being listed in Kelly's Directory as early as 1935 and, certainly from 1932 until 1950, were regularly advertising for glove cutters, pique makers, etc., as well as "boys and girls for all departments" in the Western Gazette. In 1938 they were advertising for a "Book Keeper (efficient)". This post was advertised again in November 1945. In January 1941 the company was looking for a glove cutter "accustomed to doeskin work". The war was obviously having an effect on the company's staffing levels, demonstrated by repeated advertisements in the Western Gazette during the early 1940s such as "Glove and Fur Cutters Wanted. Also Pique Makers (indoors and out-workers). We also have vacancies for Men, Women and girls for all other departments in factory." The company was listed in Edwin Snell's Directory of 1954 and their last listing in a trade directory was in Foord's Directory of 1964. They manufactured their 'Duragluv' range of gloves. In 1964 Ernie Tavener retired and the manufacturing unit including equipment, customers and many staff were taken over by Denner & Vaughan. By 1968 the factory was the premises of Stuart Maddley Ltd.
Their large, three-storey glove factory still stands in Eastville and is photographed below. The enlarged company heading, in typical 1930s' style, from the bill of sale reproduced below. 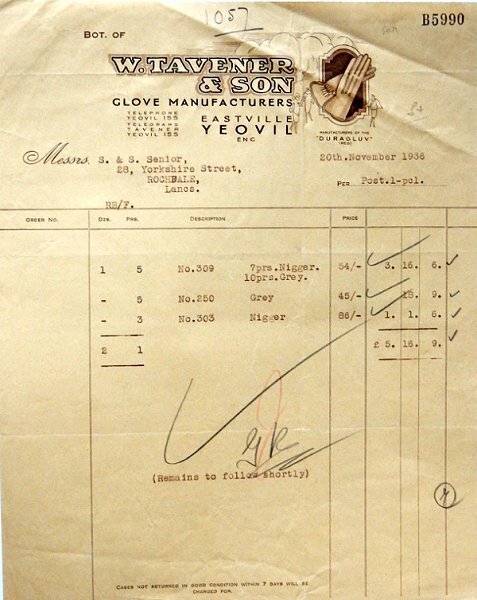 A bill of sale for gloves, in a colour considered somewhat inappropriate today, dated 20 November 1936. The machine shop at W Tavener & Son, Eastville, photographed about 1936. 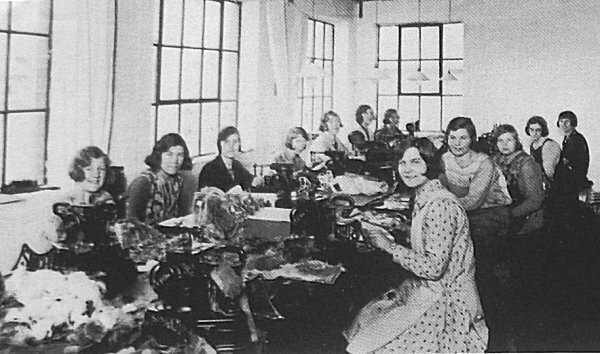 The Tavener's glove factory in Eastville. Photographed in 2013. 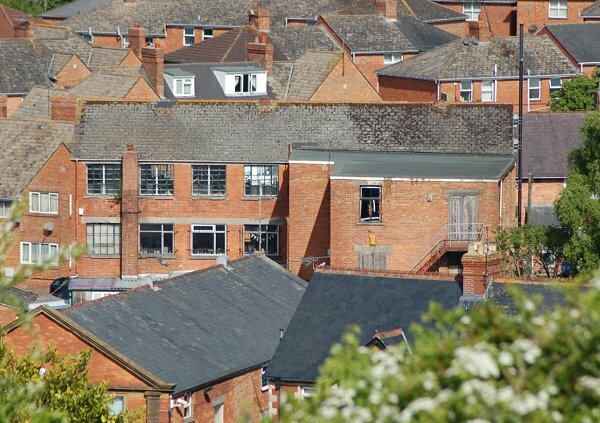 The rear of the factory, photographed from the top of Wyndham Hill in 2013.